Disclosure: I received a free product to review. All opinions are my own. 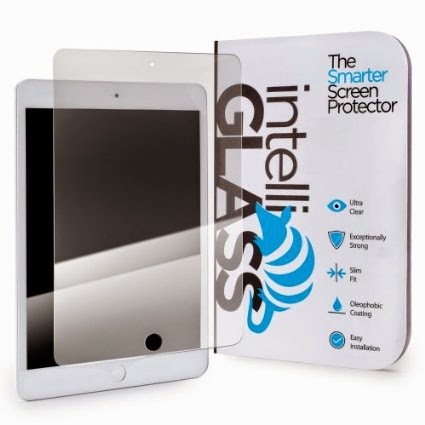 intelliGLASS is our new line of screen protectors here at intelliARMOR that are crafted with a unique layering process that combines an advanced silicone base layer that adheres to your phone or tablet’s screen easily and without bubbles - all while leaving no residue. It also includes an ultra-hardened REAL glass layer that has been specially treated to have greater scratch resistance than steel. (try to scratch it with a set of car keys and you’ll see what we mean). And lastly, it has an oil and smudge resistant outer layer that repels fingerprints and makes cleaning your phone’s surface a snap. When I first received my iPad mini, I got a cheap screen protector from a local dollar store. The old saying "you get what you pay for" is very true. I'm loving my new intelliGLASS Hardened Glass Screen Protector from intelliARMOR. While it basically did the job, it didn't apply as bubble free as I would have liked and it was peeling up in one corner. You can win a intelliGLASS Hardened Glass Screen Protector of your very own by entering the giveaway below. 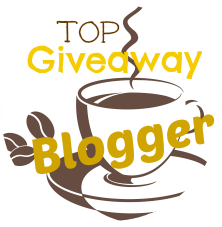 The giveaway is open to the US and Canada and ends on 3/26 11:59 pm. I like the oil and smudge resistant outer layer. I can't stand fingerprints! My favorite IntelliARMOR feature is that it is smudge resistant. I hate smudge marks on my devices. I haven't dropped mine yet but according to the package it is "Exceptionally strong - surface hardness of 9H (only a diamond is harder) that can withstand hits and dings. Tempered for shock and break resistance.". i like the scratch, stain resistant. The scratch r& smudge resistance feature is amazing love to use it. I love that its real glass! !